Just days after T-Mobile’s John Legere crashed AT&T’s private party at CES (and was subsequently tossed out by security), the CEO took the stage during his company’s press conference to confirm rumors that T-Mobile will pay the early termination fee (ETF) for customers interested in leaving their existing wireless network and joining theirs. Customers switching from AT&T, Sprint or Verizon can have T-Mobile cover their ETF up to $650 per line, or as Legere put it, a “get out of jail free” feature. Unlike AT&T’s recent move, this isn’t a limited time offer but instead a permanent change. Here’s how it works. Users must trade in their existing phones and can receive up to $300 credit per device / line. Moving forward, new customers can then select a new handset for zero money down – any phone in T-Mobile’s arsenal is eligible. The cost of that device is split into payments over the next 24 months that show up on your wireless bill. Next, when you receive your final bill from your old carrier, either mail in a copy or upload it to T-Mobile to verify the phone number port and the pending ETF charges. Once verified, T-Mobile will send out a pre-loaded MasterCard for the amount of the ETF, up to $350 per line. The company even said they would prepare a “breakup” letter that you can send to your old carrier. Clever. 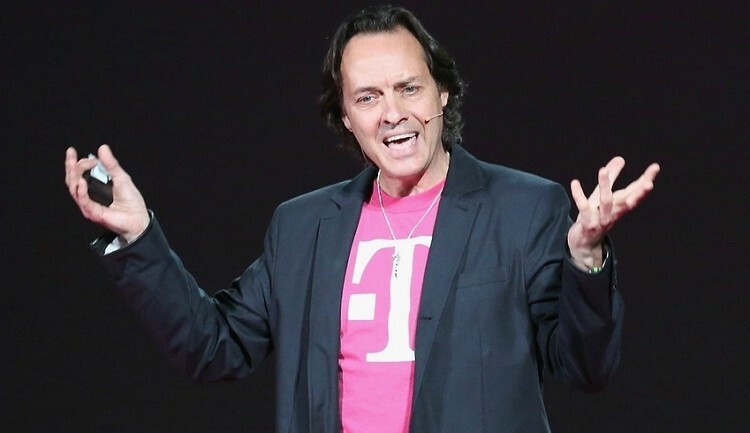 In related news, Legere also revealed that T-mobile service now reaches 209 million customers covering 273 metro areas. What’s more, they added 4.4 million new customers over the course of 2013 proving that the Uncarrier strategy is certainly paying off.